Calverley Carnival 2015 draws the crowds - and blue skies | West Leeds Dispatch | News. Views. Get involved! There was a real family vibe as Calverley Carnival drew big crowds to the village over the sunny weekend. As well as welly wanging, flat cap throwing and a children’s fair, there was a wide variety of events held in the main arena in Calverley’s Victoria Park, as well as stalls showcasing local organisations and produce. 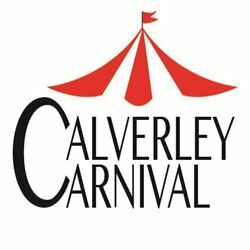 Money raised from the event goes to the Calverley Christmas Lights fund. @PhoenixJuniorRL Thank you for your brilliant RL demonstrations. You were all awesome. See you next year (we hope) at Calverley Carnival.